Cristiano Ronaldo shocked the world on Tuesday with a stunning overhead kick against Juventus. The goal is regarded as one of the most spectacular ones to rustle the net, and has forced some praise out of Barcelona star Ivan Rakitic and former striker Zlatan Ibrahimovic. The Portuguese leaped in the air during the second half, moments before extending Real Madrid’s lead in the Champions League quarter-finals. This once-in-a-generation strike was certainly a sight to behold. 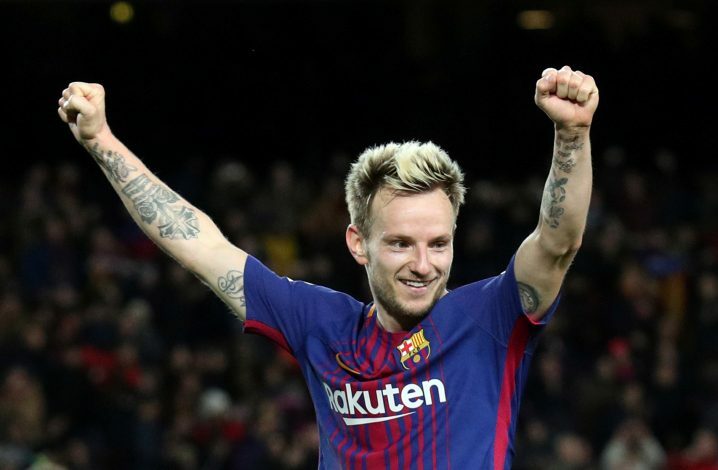 And needless to say, it didn’t fail to impress everyone, including Rakitic, who believes Ronaldo deserves a lot of credit for the ‘awesome’ goal. “We have to congratulate Ronaldo on his goal, it was awesome,” the Croatian told reporters [via Sports Mole] following Barca’s 4-1 win against AS Roma. Though Ibrahimovic isn’t usually someone who admires others, he summed it up quite well. “I think it’s a big difference, because he scored in the Champions League, I scored in MLS,” the striker told ESPN FC. “It’s a big difference. If one can get such comments from Zlatan, they must be truly special – which in the case of the Real Madrid talisman, is certainly an understatement.